The holidays are the perfect time to get out your favorite cookie recipes and even try something new! 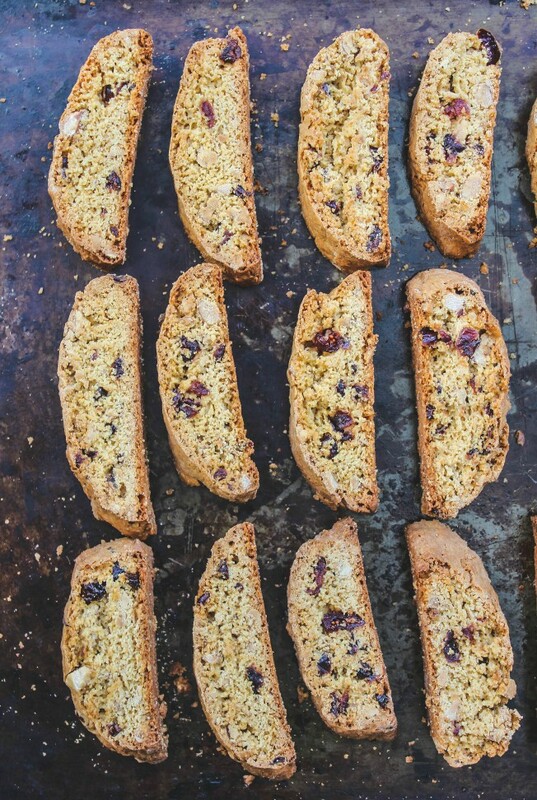 We bake biscotti all through December at least once a week. 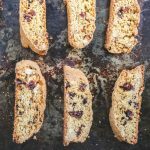 These Cranberry Almond Biscotti are delicious and what you should add to your Christmas cookie tray. So here we are just weeks from Christmas and I may be panicking a little. Panicking because I want to have about 6 dozen biscotti already baked and ready to gift. At least I have a little start with my cookie baking with these fabulous Cranberry and Almond Biscotti! How did it even happen that I coordinated this post to share with all of you on National Cookie Day is something short of a miracle. 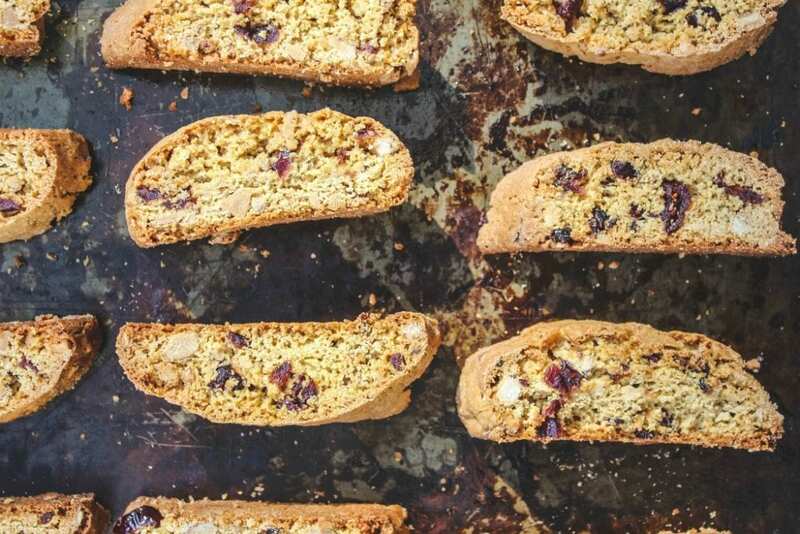 They should have a National Biscotti Day and you should bake these in honor of this day!! What is it about biscotti baking that seems intimidating? It could be the whole concept of having to bake them twice. It’s really not that big of a deal. You just have to let the logs cool a bit once you bake them. The next step is to slice them and bake again: biscotti (twice baked!). Make sure there is a little flour on your clean surface. The little bit of flour does help when you roll out your logs. The best thing is these biscotti get even better on the 2nd and 3rd day (if they’re not all gone!). They make the perfect gift for your favorite friends or loved ones. Biscotti are traditional Italian cookies. Classic biscotti cookies are crisp and dry, which make them ideal for dipping in your hot coffee, latte or tea. Biscotti in Italian means twice cookies (bis: twice, cotto: cooked, past participle of couch, ‘to cook’). The dough is first shaped into the logs (two for this particular recipe). When the log cools, it is sliced on a diagonal and the cookies get baked a second round until they are the perfect crispiness. Some classic biscotti flavors are almond, anise and vanilla. Italian Cranberry Almond Biscotti are a delicious addition to your Christmas cookie tray. Filled with dried cranberries and almonds, these delightful cookies are perfect for dunking in your latte on your coffee break. Preheat the oven to 325ºF. Position a rack in the center of the oven. Combine the flour, baking powder and cinnamon in a medium bowl and mix together thoroughly. In a large bowl with an electric mixer, beat the brown sugar, butter, eggs, salt, and vanilla for 2 to 3 minutes, until thick and pale. Add the flour mixture, cranberries, almonds and stir until all the ingredients are moistened. Let the dough rest a couple of minutes in the mixer bowl. Scrape out the dough with a rubber spatula onto a lined cookie sheet (I used a sheet for each log) and divide the dough in half. Spray hands with cooking spray; form each piece of dough into a 2 1/2-inch-wide log. Bake until dough is firm but gives slightly when pressed, about 25 minutes. Transfer sheet to a wire rack and let logs cool 15 minutes. Reduce oven temperature to 300 degrees. Transfer the loaf carefully to a cutting board. Using a long serrated knife, cut each log on the diagonal into 1/2-inch-thick slices; place slices, cut side up, on sheet. 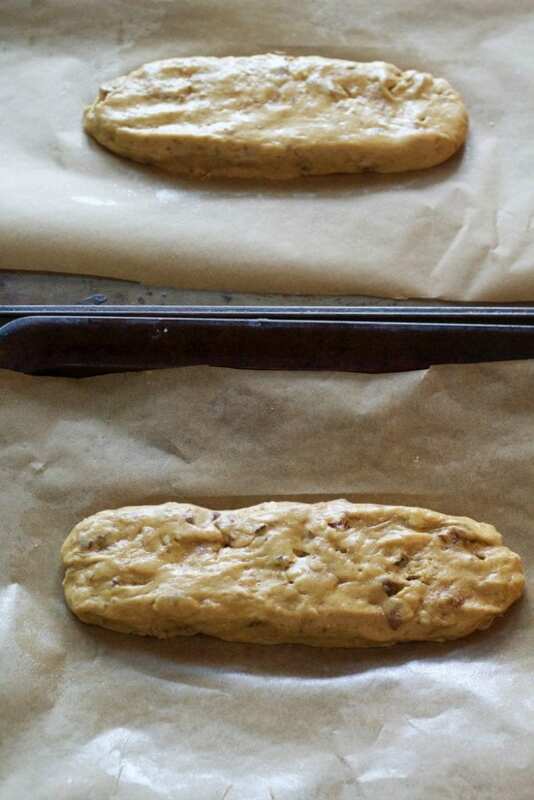 Bake 7 minutes, flip biscotti, and bake 7 minutes more. I have never tried to make my own but I'd love to surprise my Mother in Law with a batch. Thanks for sharing! I love biscotti! It's perfect with hot cocoa! FANTASTIC!! This biscotti was perfect! 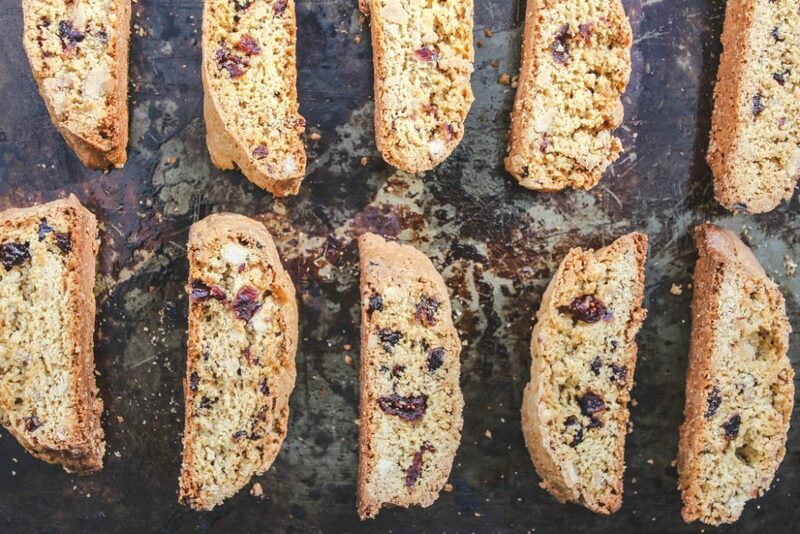 Everything you think about a biscotti – is what this is! Long and thick and ultra crispy, yet has a nice delicate flavor! One of my favorite holiday treats! Loved by many. Thanks for sharing! Cranberries and almonds are so perfect together! 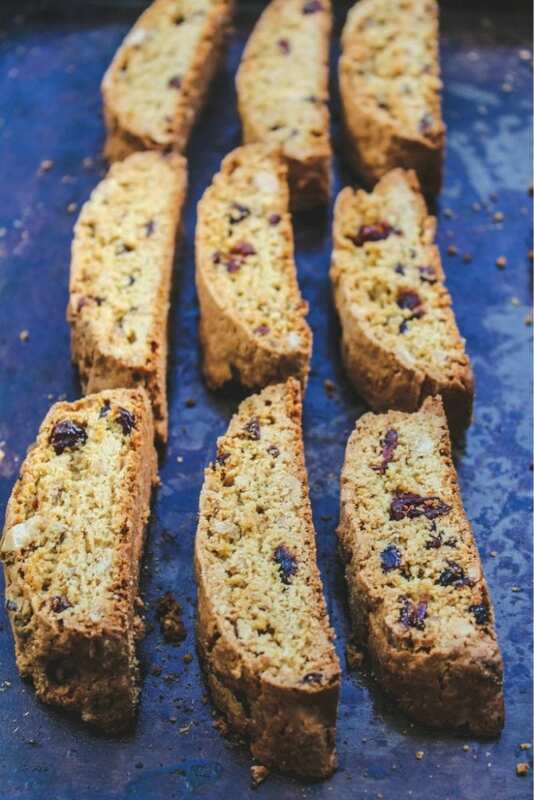 My whole family will love these biscotti! I would love this with a cup of tea!